The professionals, who find in this page are selected collaborators in the course of my work and my experiences, people with proven efficiency and reliability I would choose for myself. Passion, passion and even passion is what sets this historic atelier, Daniela Pavanello is its founder, the essence, the soul and the heart for more than 40 years, this passion was transmitted to his daughters Anna and Monica the flanked in this wonderful work, two generations compared experience and creativity, with an interest only create a wonderful star for an exciting day. Daniela is always looking for new talents, prestigious brands to offer refined and exclusive collections; "Clothes as" pearl jewelry that will exalt the beauty of any bride, even the large sizes have a wide choice of clothes ready for the test. In addition to wedding dresses by Daniela offers a style wedding collection that always manages to interpret the look of the wearer. DANIELA SPOSA is located in the historic center of Mirano and is on three floors to create the perfect style for the bride, groom and the ceremony, in a warm family atmosphere. The philosophy of Alexander Orlandini professional is this: fix the excitement of marriage through a balanced use of the technical report, harmonizing the emotional context of a very important moment in people's lives. A story from then transform into a single visual heritage through the use of the latest creative page layout, cutting and image composition. Villa Fiorita, historical residence of the Venetian '700, is located near the old monastery of Madonna del Pero Monastier, a small town located in the Venetian Villas area between Venice and Treviso. Famous for having hosted the writer E. Hemingway, still retains its original charm: spacious and restful, sweet and harmonious architecture, romantic atmosphere through nature and history. Villa Fiorita, together with its dining rooms decorated with fine furnishings, to its park and its swimming pool, it offers an ideal location for events and especially weddings. The possibilities are endless, from the ceremony to the reception in the park by the pool. A specialized staff will make the best day of your life even more memorable thanks to attention to detail. The bride and groom are also given the option of staying in one of the wonderful suites of the villa on the evening of their wedding. Thanks to our chefs guarantee a quality of food and the dishes very high level. 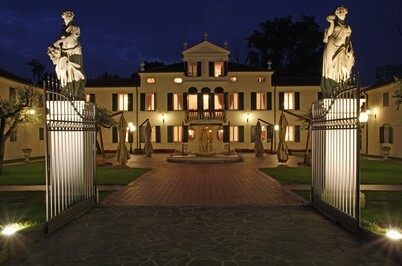 At Villa Fiorita you can enjoy delicious dishes of fish and meat and taste the best wines and prosecco of Treviso. In addition, a large free parking and free Wi-Fi available to customers. Pomellato, Damiani, Polello faiths, Crivelli, IWC, Accessories Cartier, Baume & Mercier, Tag Heuer, Chronoswiss, Longines, Gucci, Paul Picot, Sattler, Hamilton, pearls and diamonds Certificates IGI, GIA, HRD, Unoaerre faiths and... much more awaits you from GioielliLeonardo, where the love for beauty and the search for the perfect jewel is at home. The assistance to the purchase by gemologists G.i.A. and industry experts will turn your sign of love in the best indelible mark of your life. 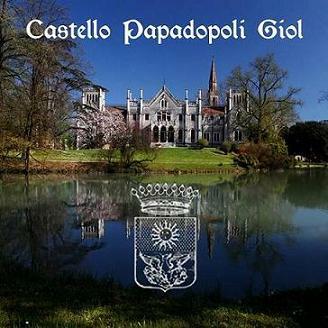 The widest choice of faiths in the Veneto and the best companies in the world in jewelery. 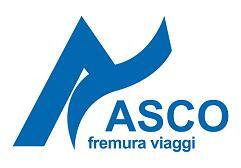 AscoFremura travel is a travel agency that has been successfully operating in the tourism industry for over 50 years. The consolidated industry knowledge, qualified personnel and collaboration with the best Tour Operators make AscoFremura Travel a reliable contact person and experienced for all types of travel. All trips are guaranteed by Asco qualities: knowledge of destinations, variety of offers, prices without surprises but also a support hotline service with our travel consultant. The key to success of every business is knowing how to meet the needs of its customers, adapt to their needs and propose more innovative and competitive products .... here because with Asco travel is simple. The agency is based in Mestre-Venice and branch office in Livorno and www.ascofremuraviaggi.com is always with you. Visit our website, the fantastic offers and promotions reserved to our clients.